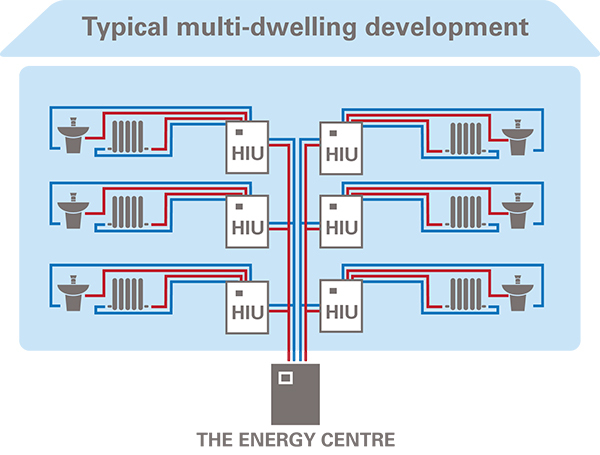 In the pursuit of energy efficiency, district heating schemes supplied from a combination of traditional and renewable energy sources are becoming the industry norm for new build developments. HIUs give consultants and engineers a reliable, eco-friendly solution, which provides efficient temperature control and user comfort. Heat interface units are packaged hot water and/or heating production units for apartments, single or multi dwelling houses, industrial and commercial applications. 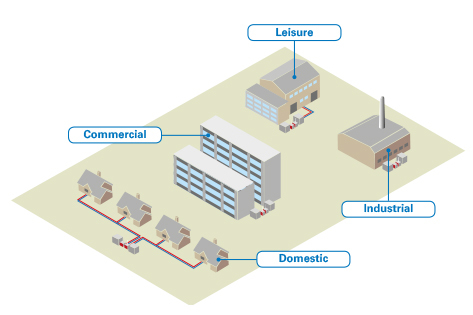 Heat is produced on mass in an Energy Centre and fed to individual HIUs by a network of distribution pipework. HIUs are compact in size, comparable to traditional wall hung boilers. They require minimal installation, have no flue requirement, so can be installed in a greater number of different locations and have low standby running costs. The Emmeti range of HIUs contain proven quality components, intelligent controllers for efficient control and fast response and are a one size fits all solution (5 – 70kW) using specialized control valves. 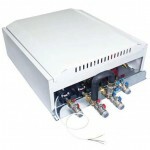 The Indirect Twin HIU, contains two plated heat exchangers for instantaneous heating and DHW production. Inside is a 12 ltr expansion vessel, heat meter, high efficiency Grundfos circulation pump and twin ESBE actuators which provide full electronic control over heat distribution. A thermostatic mixing valve is also installed for DHW scald protection. The Indirect Single HIU, is a heating only HIU, it contains a single plated heat exchanger for instantaneous heating production. Inside is a 12 ltr expansion vessel, heat meter, high efficiency Grundfos circulation pump and single ESBE actuator which provides full electronic control over heat distribution. The Indirect Heating with DHW Cylinder HIU, provides direct heating to a DHW coil and indirect central heating via a plated heat exchanger. Inside is a 12 ltr expansion vessel, heat meter, high efficiency Grundfos circulation pump and single ESBE actuator which provide full electronic control over heat distribution. A 2-port zone valve installed on the DHW return pipe provides control over DHW production. 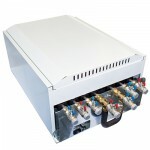 The Indirect DHW with Direct Heating HIU, provides heating directly from the primary supply and instantaneous DHW production via a plated heat exchanger. Inside is a heat meter and twin ESBE actuators which provide full electronic control over heat distribution. A thermostatic mixing valve is also installed for DHW scald protection. 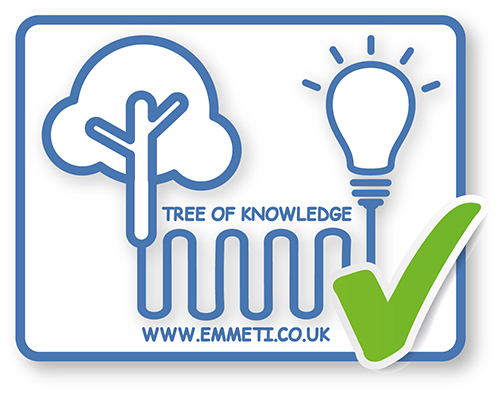 Emmeti also offer a range of spares for the HIU range, including upgrade and replacement actuators. These include a weather compensating option. Pre-plumbing jigs for HIUs, MBUS heat meters and water meters.